Greenbelt police are looking for the driver of a car that hit and killed a pedestrian Friday morning and kept going. News4's Darcy Spencer reports. A woman who was struck and killed Friday morning in Greenbelt, Maryland, in what appears to be a hit-and-run crash has been identified. 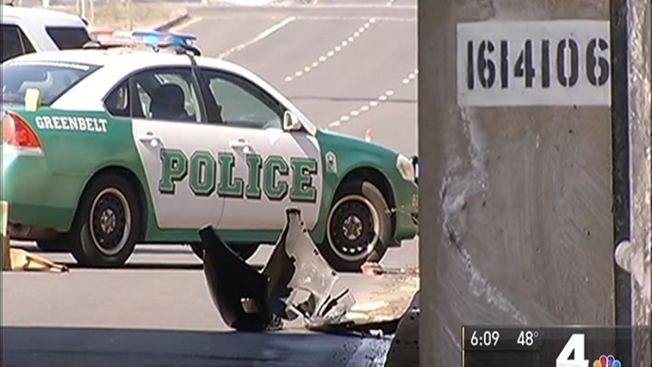 Chanel Nicole Hugley, 35, was struck on Greenbelt Road near Capital Drive -- just below Interstate 495. Officers found Hugley's body lying off to the side of the road shortly after 7 a.m. It's unclear how long she had been on the road before she was discovered. Crash investigators collected car parts and other evidence at the scene, including what appeared to be a car bumper. With that evidence, investigators believe the suspect was driving a 2007 to 2011 Toyota Camry that is dark gray and silver. The car will have damage to the passenger side and a missing passenger side mirror, police said. Westbound Greenbelt Road was shut down for hours through the Friday morning commute.